The chronicles of Narnia series, with the message of fighting evil, goes darker in this instalment of the film, with the evil this time lurking inside. Sadly, despite commendable special effects, the film does not have the charm or wit of the first part. Lucy (Georgie Henley) and Edmund (Skandar Keynes) are living with their cousin Eustace (Will Poulter) who does not believe in their tales of Narnia. However, all three kids are sucked into the world of Narnia, where they join Prince Caspian (Ben Barnes) in search of seven lords that have disappeared after going to an island. Their search leads them to the edge of the world, to a strange evil that threatens not only their mission, but the peace and quiet of entire Narnia. The previous films were simple tales of good vs. evil and of choosing the good no matter how defeating it seems. There was a visible evil in both films. In the third instalment, the evil is not outside, it is inside and each character must face the evil inside - their fears and insecurities. That is the greatest evil. The film thus obviously misses a face to this evil. Green mist is not a character that can scare audiences. Though it is bold, for a children's film, to tell children that the greatest evil is inside you, this grand evil is not translated well on screen despite commendable special effects and introduction of some quirky characters and settings. 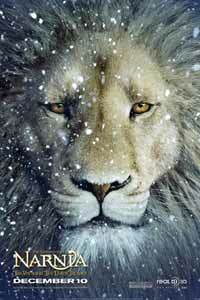 "Chronicles of Narnia" has always been a book to imbibe lessons of Christian goodness in children. And this part is an extension with most of the seven deadly sins and its evils subtly demonstrated. The metaphor is thus beautiful, but not its translation on screen. The film also misses out on the presence of the two elder siblings, who have now grown up and hence cannot be a part of Narnia. The introduction of Eustace to take the place of a meek and fearful Edmund from the first part of the film, does add some fun, but is not enough to raise the stakes of the film. Yet, if one looks at it, there isn't much more that could have been done with the story. Perhaps, the fault does not necessarily lie with the makers of the film, but with C.S. Lewis, who wrote a story that is good to read, but is perhaps untranslatable to screen. Or maybe the series misses the direction of Andrew Adamson, who passed the baton to Michael Apted.